the thing about beets though, is you kind of have to decide you want to eat them, the day before you want to eat them. you have to boil the beets before you can peel them — and it’s way easier to peel them if you let them sit overnight in water in the refrigerator, after they’re boiled. cut the beets in half, and boil them with the honey and vinegar for about an hour. add more water if needed to cover beets completely. allow beets to rest in fridge in water overnight. wearing gloves, dice beets into ~1/4 inch peices. 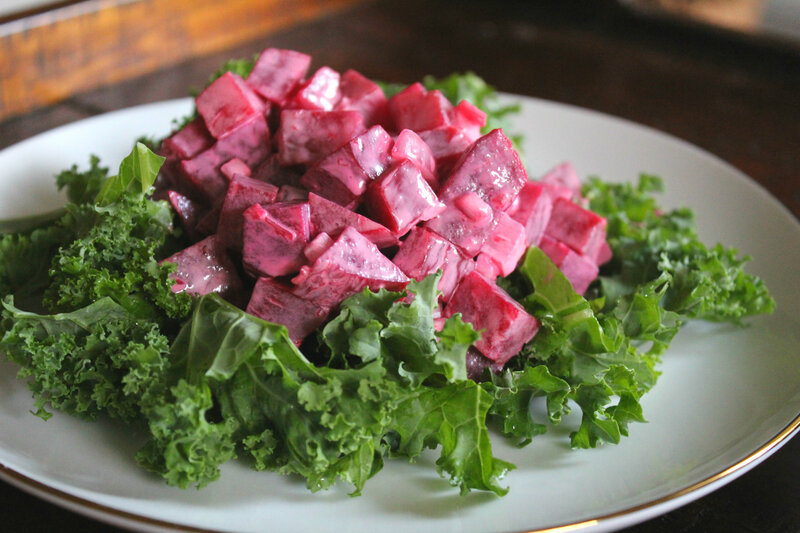 mix beets in bowl with diced shallot, white vinegar, mayo and salt.